Dan Simmons of Continental Search & Outplacement, Inc., one of the founders of The Animal Science Monitor newsletter, received an award recently for his production in a national recruiting organization. That organization is Top Echelon Network, an elite network of highly specialized search firms. Dan won the “Placer of the Year Award” for 2010, the fourth time since 2002 that he’s won that award as a Preferred Member of Top Echelon Network. He’s also won numerous other awards from the Network since he became a Preferred Member in 1996. 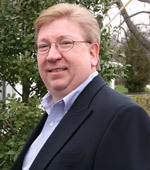 Top Echelon Network President Mark Demaree praised Dan, not only for his production in the Network in 2010, but also for his commitment as a Preferred Member during his entire tenure in Top Echelon. Top Echelon Network passed out its annual awards at its recent National Convention, which was held last month at The Westin Beach Resort in Fort Lauderdale, Fla. Since 1988, Top Echelon Network has brought recruiters together for the purpose of sharing information so they can better serve their client companies. Top Echelon Network is comprised of nearly 400 recruiting firms and over 1,000 recruiters in every major industry from all across the country.